mAmunigaL said that he had the opportunity to repent for his wasted/lost time hitherto. 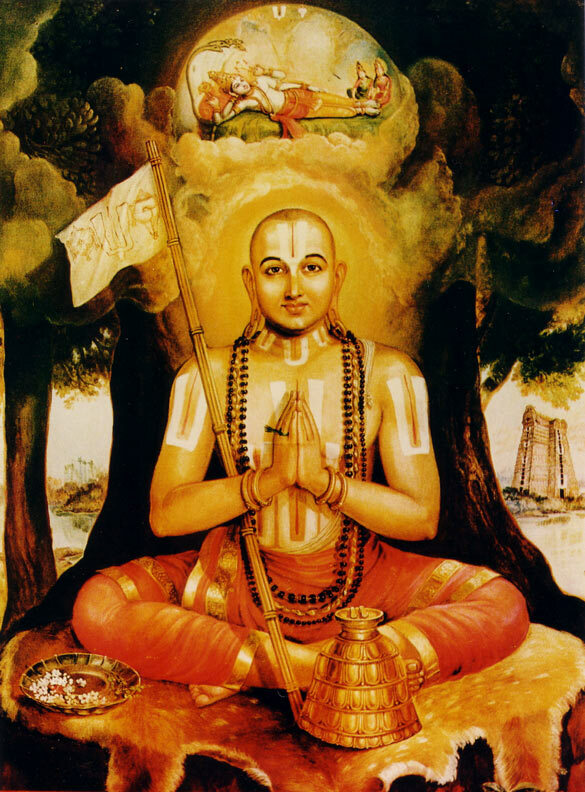 This was possible only due to the blessings showered on him by SrI rAmAnuja out of his infinite mercy. 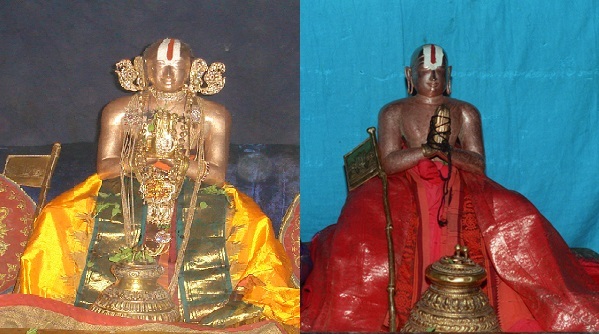 Subsequently, in this pAsuram, mAmunigaL celebrates the manner in which periya perumaL would come unto him, for SrI rAmAnuja’s sake. 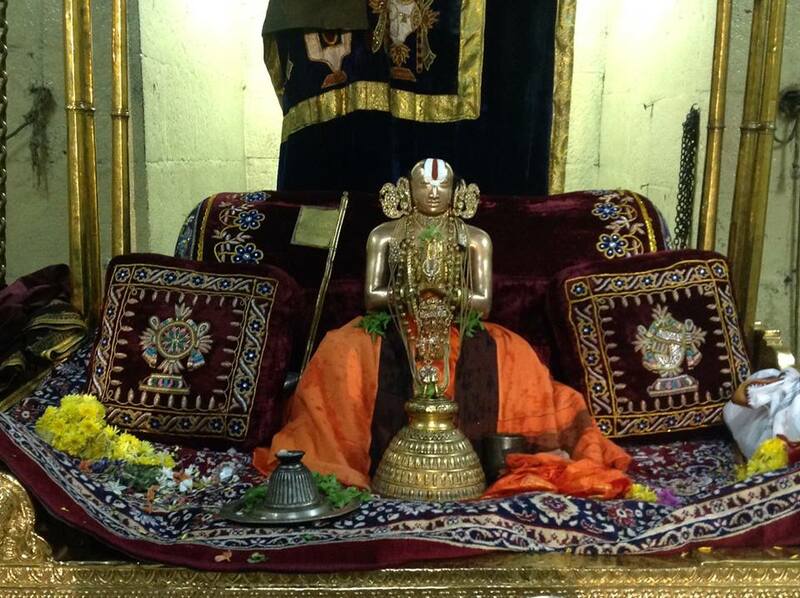 He describes how he would come to him as revealed in the phrase “SrImAn samArUdapadhangarAja:”. vinadhai – a lady called “vinathA”. mERkoNdu – periya perumAL will come riding on top of vinadhai siRuvan as the latter is HIS transport. ethirAsarkkAga – for the sake of yathirAja. (periya perumAL will show up and show his face and smile and will enjoy me. This is certain). 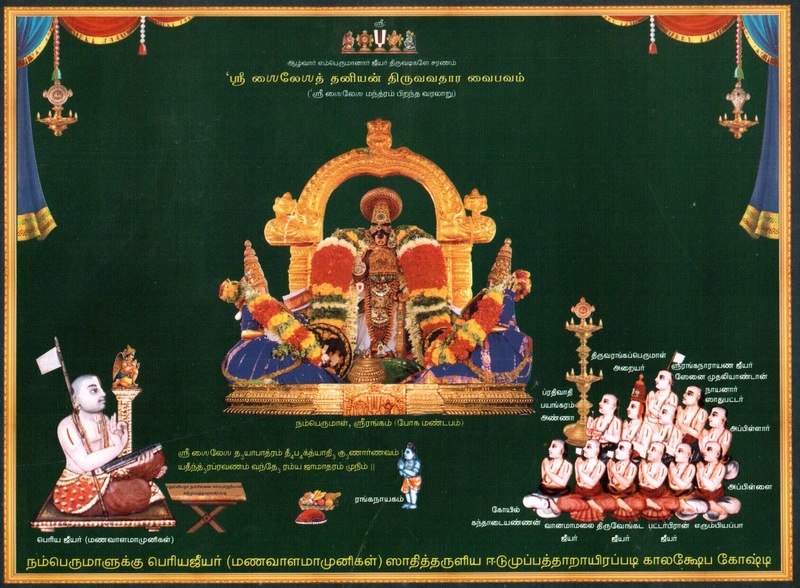 In this pAsuram, mAmunigaL celebrates the manner in which periya perumAL will come during his last moments. mAmunigaL says that HE will come on top of his transport, also known as “vinadhai siRuvan”, “periya thiruvadi” etc. HE will come to the place where I will be and show HIS beautiful smiling face. HE will do all these for the sake of emperumAnAr. mAmunigaL says, “As per the phrases in ‘kAnchanaspa girES SrunghE sagatiththO yadhOyadhA‘ and “manjuyar ponmalai mEl ezhundha mAmugil pOnRuLar (periya thirumozhi 9.2.8)”, there are black hued rain bearing clouds that hover over the great golden mountain of “mEru”. 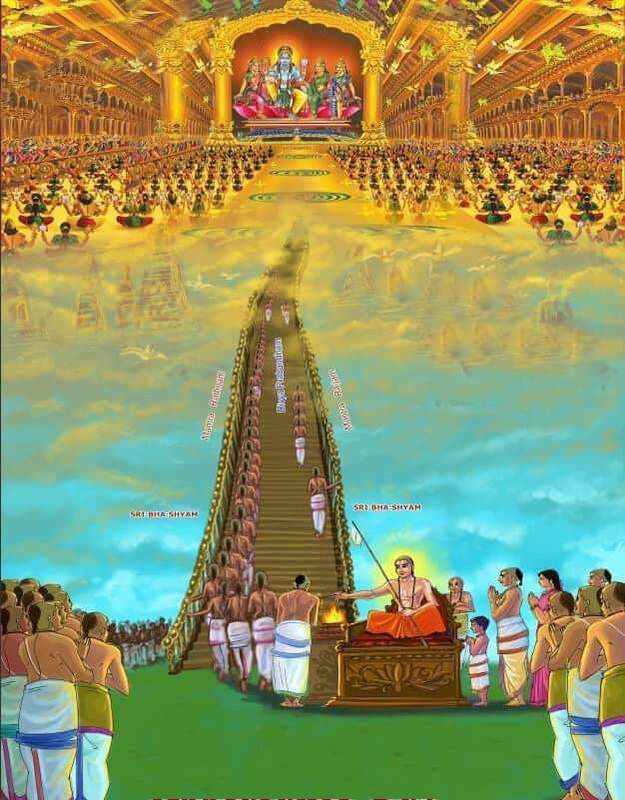 Similarly, when I leave my mortal coils in this earth, periya perumAL will come atop garudan as described in “perum pavvam maNdiyuNda peru vayiRRa karu mugil (thirunedunthAndakam 24). 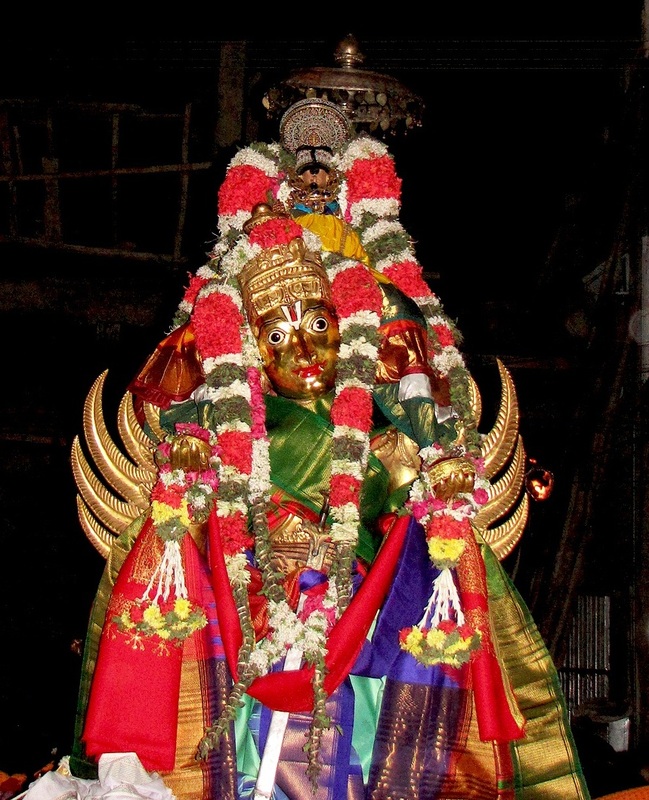 garudan is also known as “periya thiruvadi” or “vinadhai siRuvan” for he is the son of “vinathA”. At the time of me leaving this body, periya perumAL will come, similar to how a mother would come. HE who is replete with all genres of beauty, will come to the place where I will be at that time. HE will come gleefully for emperumAnAr’s sake. HE will show his smiling face to me. This is certain. This entry was posted in Arththi prabandham, Other and tagged arththi prabandham, mamunigal, ramanuja on March 19, 2017 by santhanam rajagopalan. As emperumAnAr ponders “Why should you speak about other mundane persons? What was your state previously?”, mAmunigaL says “I too was like them, wasting my time since time immemorial, and was not feeling sorry for what I was missing. For such me, by the grace of your highness, I have now realized the sorrow of what I was missing for so long” and speaks about his own benefit. ninRu thavikkum ethirAsA nI aruL seydha pinnE!!! anRE uNdu – also is forever. pazhudhE kazhindha enRu – I had spent these times as “utterly wasted”. izhavinRi irukkum – Even worse, I have not even repented for this loss of mine. nI aruL seydha pinnE – After you showerd your choicest blessings on me!!! iravu pagal – day and night. In this pAsuram, mAmunigaL celebrates the blessings of emperumAnAr on him that made him to repent for the wasted time till now. Before emperumAnAr blessed mAmunigaL, the latter did not even repent for the time he lost that includes time from immemorial till now. But all that changed as emperumAnAr blessed mAmunigaL and the latter is thinking day and night only about it. 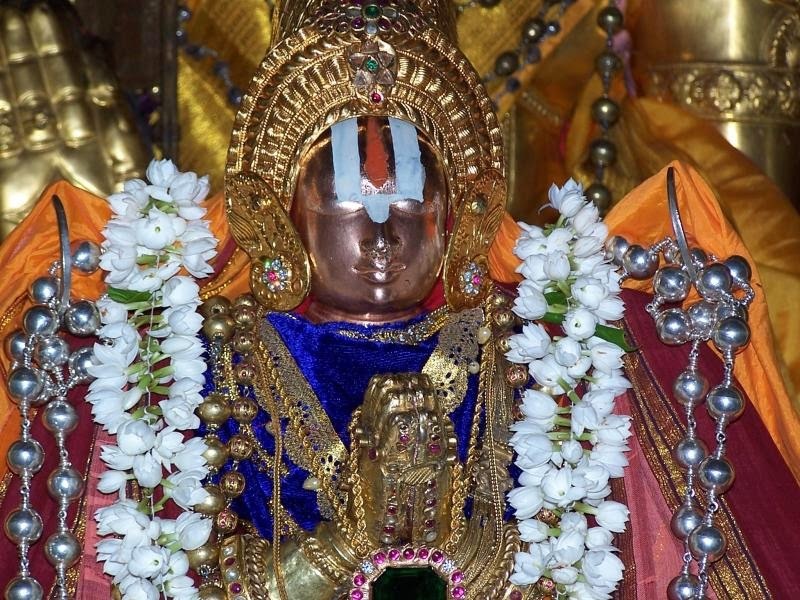 mAmunigaL says “As per the words of thirumazhisai AzhvAr, “nAn unnai anRi ilEn kaNdAy nAraNanE ni ennai anRi ilai” (nAnmugan thiruvandhAdhi 7), the relationship between the paramathmA SrIman nArAyaNan and the souls (jIvAthmA) is eternal and cannot be broken by anyone at any point of time. This would mean that the supreme controller ISwaran SrIman nArAyaNan is there forever. On the same token, the one who is being controlled, that are known as “soul” or “jIvAthmA” is also forever. These mean that there was not a point in time when they were created. 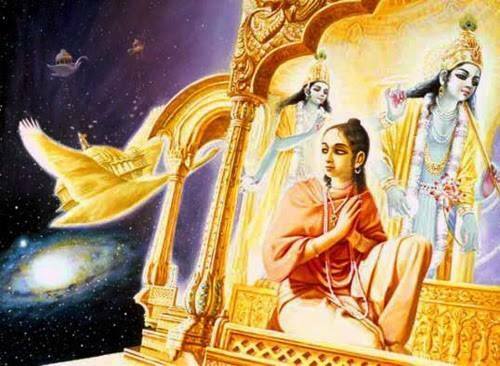 The supreme lord SrIman nArAyaNan and all the souls were there forever. However, till this point now when you (emperumAnAr) showered your choicest blessings on me due to your infinite compassion, I have spent all the time by reaping the effects of my powerful karma (both good and bad). Even worse than that is, I have never repented for the time that was utterly wasted. But after your blessings fell on me, I have been only thinking about my loss and repenting day and night about it. What infinite mercy and what compassion towards me!!! This entry was posted in Arththi prabandham, Other and tagged arththi prabandham, mamunigal, ramanuja on March 18, 2017 by santhanam rajagopalan.